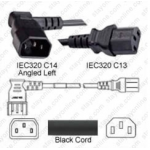 C14 Secure Sleeve Pair Contact Retention Insert for connecting a C14 into a C13 Color Black Normal Temper..
IEC320 C20 Male Plug to C13 Connector Dual-Lock 0.9mtr/3feet15a/250V 14/3 SJT Black- Locking Power Cord. 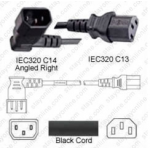 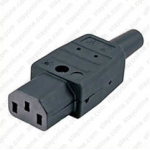 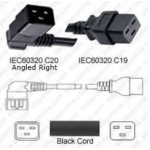 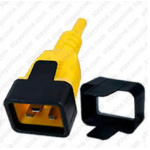 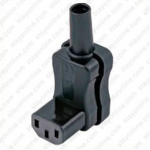 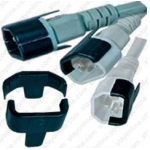 Plug IEC320 C20 Connector ..
IEC 320 C20 Plug to IEC 320 C19 Connector WS-Lock 1.8 Meters / 6 Feet 20a/250v 12/3 SJTJumper Cord IEC 320 C20 Plug to IEC WS-Locking C19 Connector. 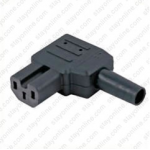 ..
AC Connector IEC 60320 C15 Female 10 Amp Right Angle VDE Connector Style Connector 120°, 10 A, with ground contact and strain ..
AC Connector IEC 60320 C13 Female 10 Amp Down Angle VDE Connector Style Connector 70°, 10 A, with ground contact and strain re..
C20 Secure Sleeve Tab Contact Retention Insert for connecting a C20 into a C19 - Black Sleeve Color Black Sleev..
AC Power Cord IEC 60320 C14 Plug Left to C13 Connector 6 Feet 10a/250v 18/3 SJT Voltage 250 Volts Amperage ..
AC Connector IEC 60320 C13 Female 10 Amp Straight Entry VDE Housing Style Valise Voltage 250 Volts ..
AC Power Cord IEC 60320 C20 Right Plug to C19 Connector 6 Feet 20a/250v 12/3 SJTVoltage250 VoltsAmperage20 AmpsMale PlugIEC60320 C20Male Plug AngleRi..
AC Power Cord IEC 60320 C14 Plug Right to C13 Connector 6 Feet 10a/250v 18/3 SJTVoltage250 VoltsAmperage10 AmpsMale PlugIEC60320 C14Male Plug AngleRi..
IEC 320 C14 Plug to IEC 320 C13 Connector WS-Lock 0.9 Meters / 3 Feet 10a/250v H05VV-F3G1.0 & 17/3 SJTPower cords C13 locking connectors. 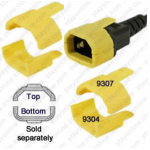 The WS..
C14 Secure Sleeve Top Contact Retention Insert for connecting a C14 into a C13 Yellow Sleeve Color Yellow ..